Quick heads-up that tonight on BBC One is a Panorama special on BP and the Gulf of Mexico oil disaster. Expect fireworks. According to the inthenews website, Panorama will claim that BP was informed of a leak on the Deepwater Horizon’s safety equipment weeks before it exploded. Gang of Four and the BP oil disaster? I admit, it’s a (very) tenuous link. GoF are a “post-punk” band from Leeds. The oil spill off the Gulf of Mexico, well we know all about that. Anyway, i’ve been listening to GoF again after years of abandonment and have decided that Damaged Goods is my soundtrack to the spill. Obviously it’s all about oil and nothing to do with anything else. Listen to it here. Go on! April 20, 2010. That is when the Deepwater Horizon oil rig exploded. The explosion killed eleven onsite workers and seriously injured over a dozen others. 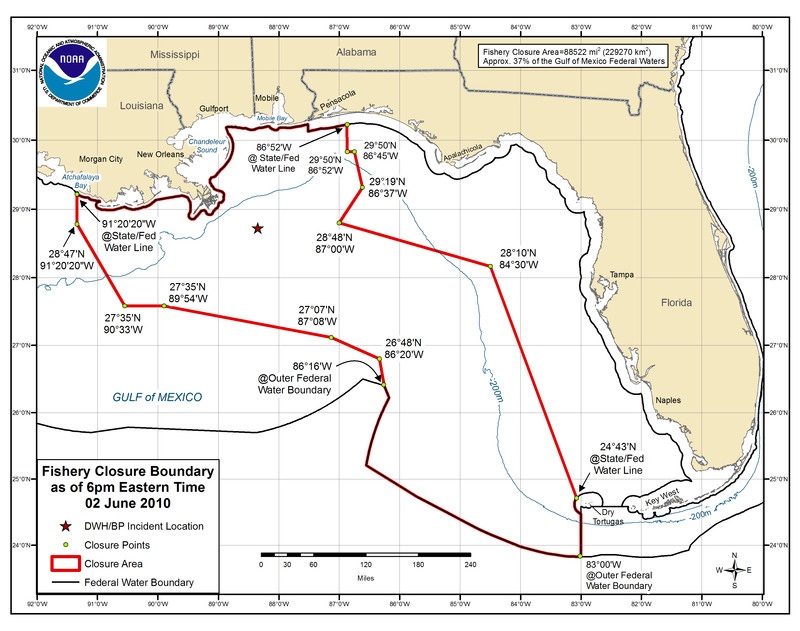 The Gulf of Mexico/BP oil spill is widely recognised to be the largest offshore oil spill in US history. Each day new stories emerge of the suffering that has been caused to wildlife around the Gulf. Each day more oil gushes out relentlessly into the Gulf. Each day that passes hurts the people that rely on the coast for their livelihood. These are all very emotive issues. 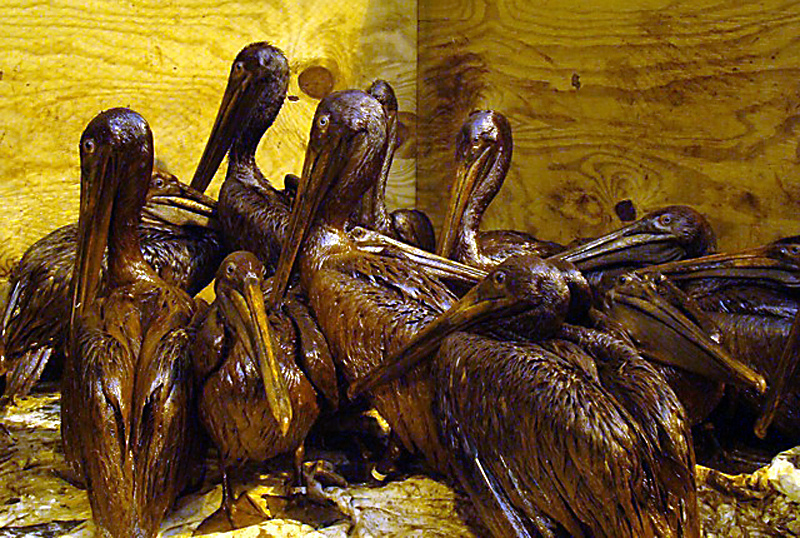 Pictures of birds covered in oil and interviews with distraught fishermen pull at even the heaviest of hearts. The mainstream media, to their credit, have not abandoned the “story”. Yet. Instead, they update us 24/7 on the latest from the Gulf coast and the different clean-up operations. Each week even seems to be themed. Early on we had a week of helicopters, hovering, taking aerial shots of the spill. We had a week or so centered almost entirely on the top kill initiative. We had a week on Obama’s perceived inadequate response to the spill. And most recently we had a week of sparring between the President and BP chief Tony Hayward. A number of new words and protagonists have entered popular consciousness by way of the press, internet and tv too. Who knew what “top kill” was at the beginning of May? And who had ever heard of Tony “I’d like my life back” Hayward? The BP chief’s newfound celebrity status – as the most hated man in America – has its upside. There will now be a big part for a British actor/Russel Crowe to play an odious limey in Deepwater, the movie. The point of this post was to illustrate how different events and personalities have detracted from many important questions being posed since April 20. But I digressed. Mostly due to events and personalities. At the early stages of the Deepwater crisis, many commentators were confident that the sheer impact of the spill would force a wholesale rethink on drilling for oil. This hasn’t happened. There has been no meaningful public debate about the future of drilling for oil. The “breaking news” style delivery of the network channels has meant that most media outlets have covered the spill much like any other disaster. They focus on the day-to-day tragedy and human suffering. They focus on the soap opera war of words between the US President and the foreign oil king. Perhaps that is to be expected. News channels are at their most comfortable when they “show and tell”. So, what about the blogger? Can a blogger really make a difference to the “public debate” I mention? Increasingly, I think the answer is yes. Bloggers have made a real impact on the stuffy world of Westminster politics over the past few years. News presenters often interview prominent bloggers on divisive issues and delve into the “blogosphere” to gauge the temperature online. On the Sky and BBC paper reviews, you are now just as likely to see a blogger as a policy-wonk type figure. In other words, bloggers have clout. 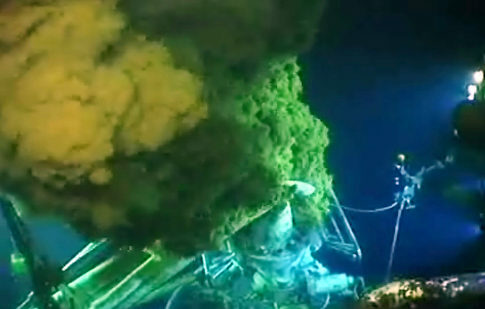 We are approaching two months since the Deepwater explosion occured. We are beginning to hear voices of dissent against our continuing dependence on petrol. In the coming years, bloggers must try to operate in the space that was previously reserved for the political and media elite. Only then can we continue to exert pressure and have a real influence on the terms of the debate. Another Green World – features a very short history of BP. The Ecologist – on public preference for renewable energy over nuclear power. Andrew Revkin of Dot Earth/NYtimes pays tribute to Jacques-Yves Cousteau. Today is the 100th anniversary of his birth. According to some commentators, the fact that the G20 group is now advocating a cuts agenda that is far more drastic than previously contemplated validates the position that the Tories have held since the earliest days of the financial crisis – you can’t spend your way out of recession. Following George Osborne’s much feted trip to Busan, South Korea, where he addressed G20 finance ministers, Angela Merkel has announced plans to cut the German budget by nearly $100billion over four years. Other G20 leaders have followed suit and Osborne has taken credit for what he considers to be a “notable change of tone”. We are told, constantly, that it’s the threat of a “Greek-style crisis” that has altered the landscape irrevocably. The fiscal stimulus is over and the era of austerity that has long be threatened by doom-mongering rightwing Tories such as John Redwood is finally upon us. But it’s not all gloom. George Osborne has promised the British public a “once-in-a-generation” opportunity. We get to decide how we want to cut the deficit. By £170billion. I am someone who generally sides with both the concept and practice of “bottom-up”, “grassroots” decision-making. Empowering local communities so that they can choose what kind of services they want is a good thing. In this instance, however, I have to agree with Nigel Lawson. Yes, I have found common ground with a prominent climate sceptic and one of the key figures behind the monetarist economic policies and mass privatisation/unemployment of the 1980s. Lawson is absolutely right to claim that the cuts consultation is nothing more than a PR ploy. A cycnial one at that. The consultation is nothing more than the coalition government softening us up for “savage” cuts in the near future. What we have is an illusion of choice. Would you like to sell off your local library or cut child/pensioner benefits? On the BBC’s Daily Politics show today, Andrew Neil interviewed Göran Persson, the former Prime Minister of Sweden, on the issue of reducing government expenditure. Persson oversaw large-scale cuts to the Swedish finances in the 1990s when Sweden went through a painful recession. Persson’s advice to the UK? Start making cuts immediately and do not ring-fence any government department. Andrew Neil was visibly surprised by Persson’s remarks. Coming from a Swedish social-democrat they did indeed seem quite extraordinary. However, two things should be considered when taking Persson’s remarks into account: 1) the Swedish SDP implemented significant tax hikes as a way of reducing the deficit and 2) Sweden was, and remains to this day, one of the most equal societies on earth. So, for George Osborne to repeat the mantra thet we’re all in this together is another exercise in PR. Clearly we’re not. The UK is still one the most economically divided societies in the western world. If the government really believed that the nation should pull together, would they not start, like they did in Sweden, by asking those at the top of the pay-scale to contribute more through taxation? And rather than asking the great majority of Britons to choose which public services they can do without, why not first deal with the thousands of serious tax evasion cases that remain outstanding. I very much doubt the consultation process will take such views into account. The consultation conclusions will, I suspect, be very similar to the original Con-Dems contract for government. So what is the point of the Programme for Government website that specifically looks at energy and climate change issues? I don’t know. I do know that you have until tomorrow to add your policy ideas to the comments section of the website. Who decided that comments would only be enabled for a period three days overall? Who will read your comments? And what is the determining factor over whether or not a policy suggestion is “good” or “bad”? I don’t think these questions matter much to Osborne and co. They simply want to be seen to be listening. I’ll end with a quote from one of the 591 comments (thus far) from the Programme for Government website on energy and climate change. Remember that the bottom line is greenhouse gas emissions, and the atmosphere is not fooled by spin or politics. Furthermore, it will be extremely difficult to cut emissions in the UK if we make large cuts to either the DECC or Defra budgets. Government support for green industry will not only reap long-term environmental rewards, it will stimulate further economic growth. Obama Is Indulging in Shameless Populism Over Oil Spill – Iain Dale’s Diary. I have a lot of respect for Iain Dale. His blog is a must read for those of all political persuasions. Why isn’t there a left-of-centre equivalent, I often wonder. His analysis of President Obama’s handling of the Gulf coast oil spill is an instance where I feel moved to make a few comments. Basically, I think he’s wrong. The accusation by Mr Dale that the President is a “brazen populist” is equally off the mark. Indeed, in the US, he is more often labelled as “elitist” and “out of touch” with “real” Americans. I think he is neither “populist” nor “elitist”. He is a realist. Every key decision and action they [BP] take must be approved by us in advance…When they said they would drill one relief well to stem this leak we demanded a backup and ordered them to drill two. And they are in the process of drilling two. The federal government is also directing the effort to contain and clean up the damage from the spill -– which is now the largest effort of its kind in U.S history…. so far we have about 20,000 people in the region who are working around the clock to contain and clean up this oil. We have activated about 1,400 members of the National Guard in four states. We have the Coast Guard on site. We have more than 1,300 vessels assisting in the containment and cleanup efforts. We’ve deployed over 3 million feet of total boom to stop the oil from coming on shore -– and today more than 100,000 feet of boom is being surged to Louisiana parishes that are facing the greatest risk from the oil. As we know, the oil spill has had an insufferable toll on local communities and wildlife around the Gulf. It is for that reason that Obama must continue to push BP to ensure it is doing all it possibly can to stop the leak and to fulfill its obligations by compensating those who have been affected. He must also continue to wield the considerable resources and manpower that the Federal Government has to help with the surface cleanup operations. Strangely enough, Mr Dale just might well agree with this “big-state” diagnosis. 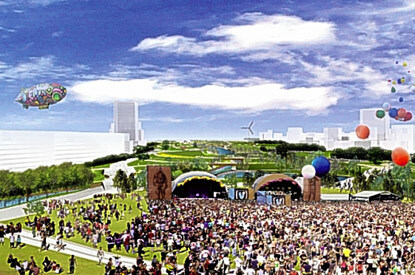 The Olympic Delivery Authority (ODA) has announced that plans to build a wind turbine in the east London Olympic park have been scrapped. The “Angel of Leyton” was being heralded as a green beacon and landmark for the games. It was expected to have delivered up to 20% of the park’s energy needs from renewable sources after 2014. Our focus is now on researching a number of alternative renewable energy options across the Olympic Park site to help contribute to these targets and complement the other state-of-the art new energy infrastructure we are building. With only two years until the Olympics start it is shortsighted and counter-productive to scrap a major green landmark and energy hub.